Can't wait for the arrival of Fallout 4? 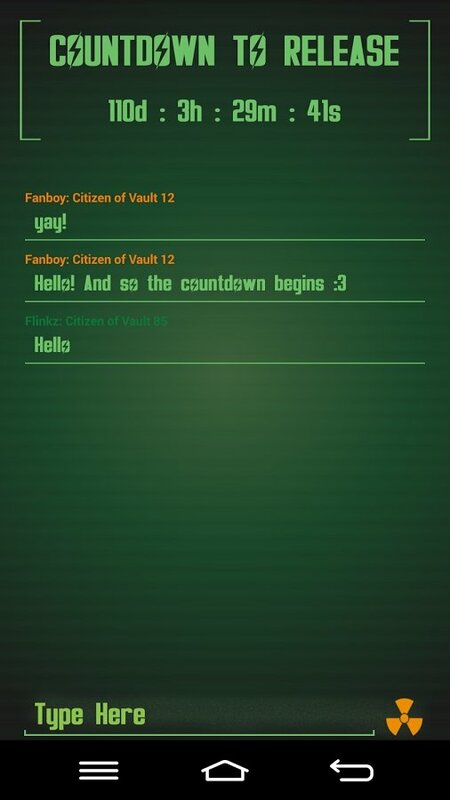 Watch how the never-ending waiting time reaches zero with PipChat Fallout 4, an application that offers you a countdown to the launch of the game. 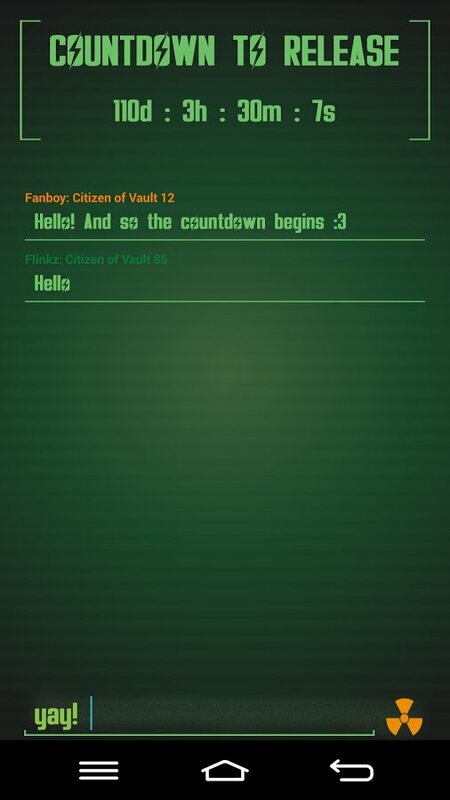 A messagin app for fanboys of Fallout 4 while they wait for the launch of the saga's latest game. But no, you're not the only desperate gamer waiting for the game's arrival. That's why PipChat also offers you a chat service that puts you in touch with different users so that you can exchange your views about the game. Find out how they're dealing with their withdrawal symptoms and getting to chat about one of the most awaited video games of 2015 once you download the APK of this application.